Following a swift campaign and assault on the Tal Afar district, the Iraqi forces within a matter of days cleared the last pockets of Daesh militants from Ayadiyah. With that, the Iraqi Prime Minister, Haider al-Abadi declared the province of Nineveh to be fully liberated and under Iraqi control for the first time since 2014, when the terrorists rampaged through the north of Iraq, subjecting millions of people to their oppressive rule. The Tal Afar ground offensive began on the 20th August, and what followed was a total Daesh collapse, which allowed the Iraqi forces to sweep into the centre of Tal Afar within six days and liberate the whole town within eight days, along with dozens of villages and mountain ranges on the outskirts of the town. The months long siege on the district along, with the complete liberation of Mosul a month before, completely demoralised the Daesh militants that remained in Tal Afar. When the Iraqi forces pushed into the town, many Daesh militants fled to nearby villages and sub-districts, principally the Ayadiyah sub-district. 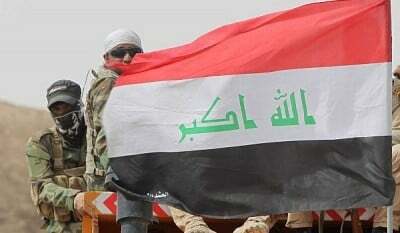 After taking full control of the town, the Iraqi troops advanced onto Ayadiyah where they initially encountered fierce resistance before overpowering the enemy, taking control of the whole area along with 21 villages and the Sasan mountain range after 72 hours of fighting. The liberation of Tal Afar also revealed more evidence of the horrors that the residents of the town had to endure under the extremist militants. More mass graves were discovered, filled with men and women who had dared to stand up to the group, as well as those who happened to adhere to a different faith or strand of Islam. Historical sites that gave Tal Afar its unique and distinct character were destroyed and desecrated. The iconic Tal Afar Citadel was converted into a prison for women and girls who were to be forcibly married to ISIS militants, as well as a torture chamber for dissidents. The loss of Tal Afar is a further defeat for Daesh in Iraq and the end of their presence in the country’s northern Nineveh Province, which was once the heartland of the group’s so-called caliphate in 2014. After three years of oppression and brutality, the group’s presence has been wiped out in northern Iraq signalling the beginning of new life for millions of Iraqis who had suffered under the group. Even across the region, Daesh is suffering further losses. In Syria, principally the group’s de facto capital of Raqqa, the Syrian Democratic forces (SDF) have captured more than half of the city. On the Lebanon-Syria border in Qalamoun, Daesh’s tenuous presence has been eradicated, with the militants suffering a humiliating loss, which culminated in their total surrender. Over 300 militants, subdued and humbled, were transferred to their shrinking territories in Deir ez-Zour, amid the onslaught inflicted against them. With the liberation of Tal Afar, Iraqi forces are gearing up to advance on the last remaining towns on the Iraq-Syria border as well as around Kirkuk, where months of isolation and besiegement has left them beleaguered and underequipped. As Daesh loses more territory and eventually begins to disappear into insignificance, its appeal will fade away along with their memory, as the region begins to rebuild and revive itself.